Our next potent backyard herb is probably not growing in your yard as a weed, but you still may very well have grown it without realizing what you had. Calendula, or pot marigold, is a fairly common annual, easy to grow and providing a pop of orange and yellow in your landscape (so even if you don’t have a dedicated space for your healing plants, you can still squeeze this in with no qualms). But what sets calendula apart from most of your other flowers is its healing and culinary versatility. It grows rather easily, and like most flowers, prefers a good amount of sun. I have had success with mine growing at the edge of the woods in a bit of shade. Don’t drown it, and dead-head it periodically to encourage blooms. It’s moderately cold-hardy, and was one of the last green things left in my beds last year (after several hard frosts). Calendula also has a tendency to reseed if you don’t remove all the spent blooms, which is fine by me. 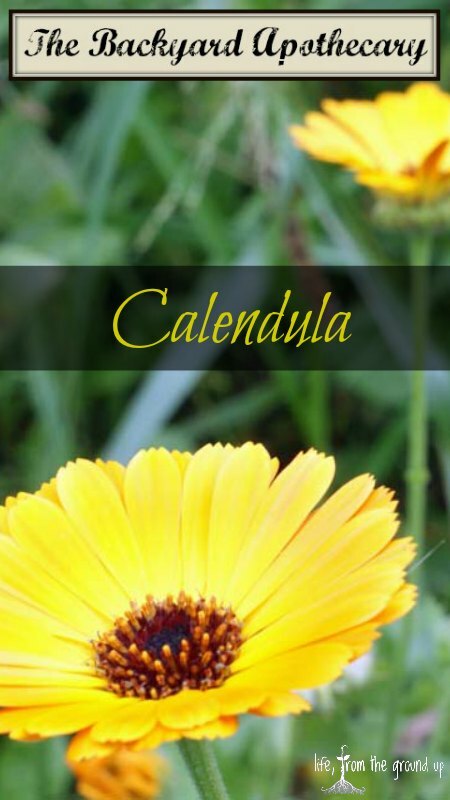 There are a number of varieties, many of them more ornamental in nature, so make sure you find Calendula officinalis. Calendula has been utilized for centuries for treating minor skin afflictions – think scrapes, rashes, sunburns, chapped lips, small cuts, and eczema. It can also be used as a diaper ointment, gargled for sore throats and gum irritation, and even to treat pink eye. The flower is a vulnerary agent (or something that promotes the healing of wounds), and contains a wide variety of anti-inflammatory, antimicrobial and immunostimulant properties. Some of the chemicals contained within help promote healing by increasing blood flow to the affected area and encouraging the production of collagen proteins. You can also use the flowers as a natural food coloring (sorry, no neon here) or simply add the petals to a salad for an easy flavonoid (antioxidant) boost. The most common application is to infuse the flowers in oil – fill a jar with dry flowers (not necessarily dried, just not wet), cover with oil (olive is what I use), and let it sit for a few weeks. This infused oil can be added to lotions, salves, or just applied directly to the skin. 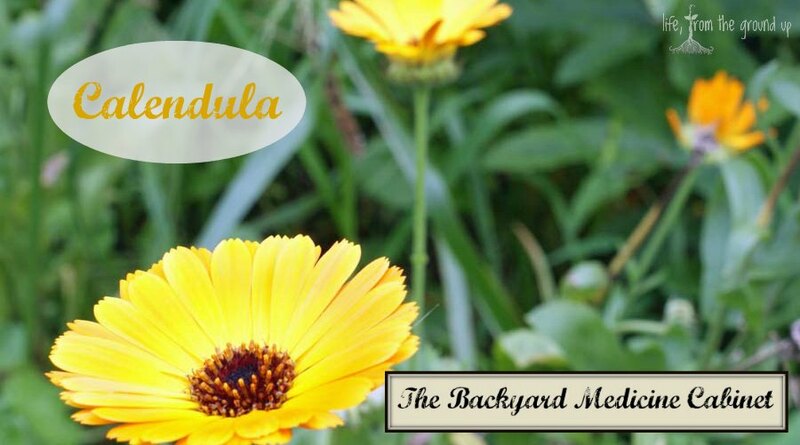 Another easy way to utilize the benefits contained within the calendula plant is to turn it into a tea. Just like it sounds, pour some hot water over the flowers and let it steep for a bit. You’ll use this tea for gargling, for the eyes, and for any oozy skin wounds (oil won’t let the skin breathe and dry out). If you’re still looking for other ways to use it, you can also make a tincture, use the whole plant as a compress, or put the flowers directly into a hot bath. So pick up some seeds, throw a few in the ground in the spring, and enjoy. We’re just a few plants into our herbal healing series, but you should already be able to ditch your Neosporin!